Twenty years ago, a teenage boy, Callum Hinds, went missing in England’s Lake District. His uncle was suspected of having done the boy harm and interviewed by the police. When he committed suicide close to his cottage in the Hanging Wood, everyone assumed it was a sign of guilt. But the body of the boy was never found. 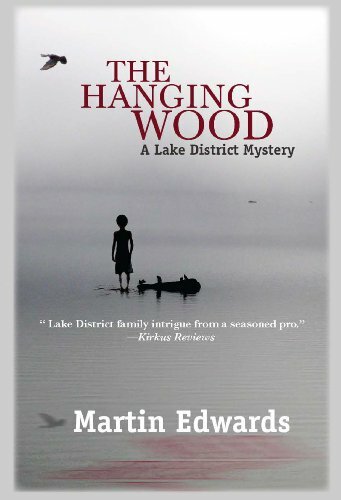 Now his sister, Orla Payne, who never believed in their uncle’s guilt, has returned to the Lakes, and takes up a job in an atmospheric residential library, close to her father’s farm, the upmarket caravan park where her step-father works, and the Hanging Wood. She wants to find the truth about Callum’s disappearance, and—at the prompting of Daniel Kind—and, in a drunken call, tries to interest DCI Hannah Scarlett, head of Cumbria’s Cold Case Review Team, in the case. Hannah is reluctant, leading Orla to demand whether she cares about justice. Hannah does care, and when Orla dies in strange and shocking circumstances, she determines to find the truth about what happened to Callum—and to Orla. Hannah’s investigation brings her back into contact with Daniel, while she tries to resolve her troubled relationship with bookseller Marc Amos. But their personal lives have to be put on hold when another death occurs, and Hannah finds herself racing against time to prevent a shocking murder as the past casts long shadows on the sunlit landscape of the Lakes. Minerva (Grade: B–) Too many new characters to easily keep up with. Still an enjoyable read.